University of Kerala is one of the oldest university of south India. The University was established in the year of 1937 with the name University of Travancore, later it has been renamed as University of Kerala in the year 1957. It is the sixteenth university to be setup in India. 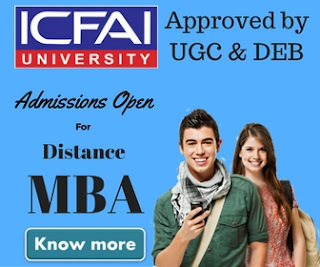 Along with various regular courses, Kerala university also offers 51 distance education courses including distance education MBA. Medium of instruction of all Courses is English except for certain language Courses. At present, the university has sixteen faculties and forty one departments and has more than 150 affiliated colleges. The institute of distance education of university of Kerala was came into existence in the year 1976. Initially this department was working as a teaching and research department of the University of Kerala. The department was primarily formed to offer education to disadvantage section of the country including women and senior citizens. The motto of institute of distance education of university is to promote career advancement & provide technical & soft skills training. The Institute of distance education of Kerala University is located in the University's Senate Campus, at Palayam,Thiruvananthapuram. Kerala University offers 2 years distance education MBA programme through it's 28 study centers spread across the state. The University offers various specializations like Marketing, Finance, Human Resources, Systems, which student can choose as per his desire. To be eligible for Kerala University distance education admission, student must have a bachelor degree in any discipline with minimum 50 % marks. There is one aptitude test that student has to appear to get the admission. 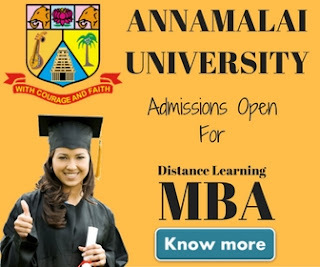 The total fee for distance education MBA course offered by Kerala University is Rs.30,000. The fee can be paid in installment. The first installment which is to be paid in 1st semester is Rs.7500. Although various other fees i.e Affiliation, admission, examination application etc are to be paid separately. Fee can be paid through Demand Drafts drawn from any SBI/District Co-Operative Banks in favour of The Finance Officer, University of Kerala, Thiruvananthapuram payable at Thiruvananthapuram. Students may obtain a prospectus from institute of distance education by paying Rs.250. University publish a detailed notification each year in major news papers in the month of May-June for admissions. Students may visit the official website of the university i.e http://www.ideku.net for more information. Students may also apply for the admission online through university website. You will have to remit the cost of Application form and Prospectus (Rs. 250/-) before submitting on-line Application.